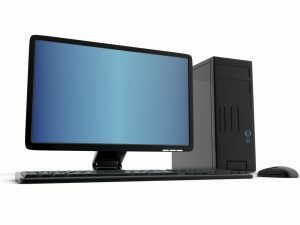 Your PC may be at risk of being compromised if you have not updated your PC’s software lately which will make you open to bugs, incompatibility problems and an open door to hackers. Hackers take advantage of holes in programs and operating systems [OS] that have not had critical security updates. The astonishing thing is that over half of applications installed on Windows PCs are out of date according to research done by Avast a security company which gathered anonymous data from millions of devices. At least 55 percent of all software installed in PCs worldwide are older. Here is a partial list of programs that are being left out-of-date by users without the updated security measures: Adobe Shockwave, VLC Media Player, Skype, Java Runtime Environment, and 7-Zip Filemanager. Some apps have patched their vulnerabilities, but if users have not updated their programs it doesn’t do them any good. Users have to update their apps! Not only will this provide a better running program when they update their apps, but it will also protect them from hackers because hackers are looking for loopholes in apps. Also according to Avast, so many users are using updated programs, but they haven’t updated their operating systems and this makes them open to hacking as well. receiving security updates because they have not updated their operating systems – they are still using the pre-released beta version of the operating system. “We need to be doing more to ensure our devices are not putting us at unnecessary risk,” said Ondrej Vlcek, president of Avast. So update everyone. Let your PCs do it overnight and wake up to a better running PC with the security you need to sleep safe and sound.